Qualitative Cavendish Experiment: Prepping for PiM Lessons on Gravitation – Teach. Brian. Teach. Next week, we’ll be learning about circular dynamics and the universal law of gravitation. I plan on going through the Preconceptions in Mechanics lesson, very similar to the lesson as described by Frank. In the lesson, students are asked about to think about various possible causes of gravity (earth’s spin, earth’s magnetic field, earth’s mass, etc). They observe demos and discuss in a sequence. One might typically end the lesson by watching a video or reading about Cavendish’s famous experiment. So anyway, over fall break, I got the itch to actually set up the cavendish experiment for myself–qualitatively that is. I originally set it up on the ceiling cross bars in the physics room, but these are just some flimsy aluminum cross bars that hold up paneling. I ended up moving my setup to a door frame to keep vibrations from the building from interfering. I’ve run the observation experiment dozens of times now, and was even able to show it live to a friendly colleague from Speech and Pathology. I’m pretty convinced that what I’m seeing is the gravitational effect, because I can get it with 100% reliability in both directions. There are few tricks to getting it working well, mostly just giving it time to reach equilibrium, and being careful when moving the bricks. But it’s really not terribly difficult. This could easily be a good project for students. I plan on at least setting up the experiment for students and showing the video. I may venture into actually showing the demo in class, but I’m worried it will be hard to do. I may want to make a better video that’s not so nauseating. I’ll also let you know if I find time to approach the experiment quantitatively to estimate G.
Let me know if you have any questions about the setup. Edit: In general, what I’ve learned is it can take a long time for the system to settle into equilibrium before you bring the lead brick nearby. 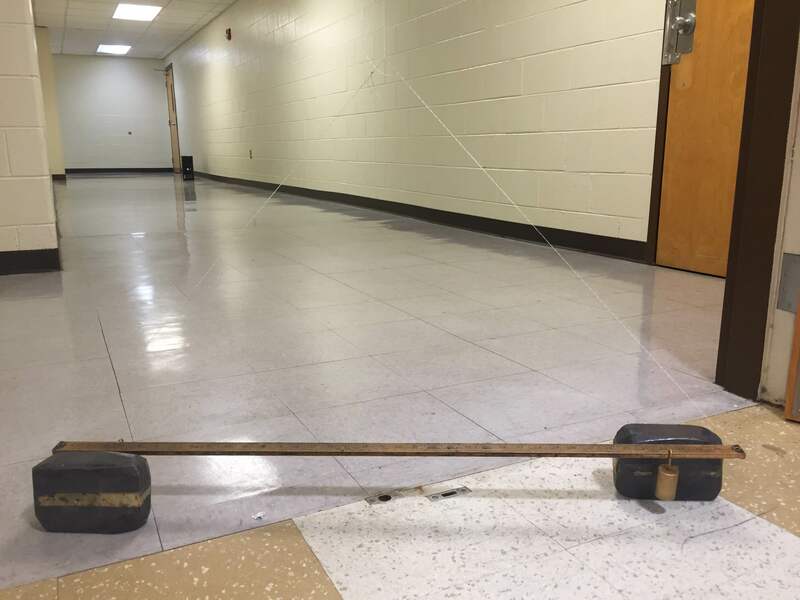 The next day when I went back to do experiments, people in the upstairs gym were playing basketball, and the system never reached equilibrium. The pendulum would twist 5 degrees or so back and forth over — over long periods of time. 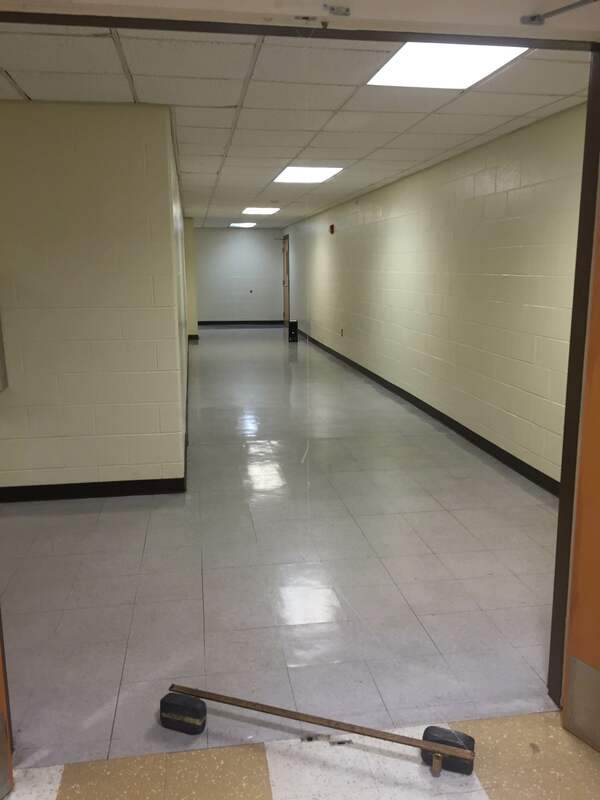 Moving to a building that is really isolated from vibrations is important. No way!! This is the coolest thing I’ve ever seen. It would never have occurred to me that this was do-able. I don’t know why not, but I’m shocked. How long does it take to move? A quick back-of-the-envelope calc suggests 3.5 hours. Which video were you taking that from? I think the first video, it starts away from equilibrium,and I now think there’s a good bit of torsional. The second video, it’s in equilibrium pretty solid, and it’s pulled it away from equilibrium using the lead bricks. The timeline is about 20 minutes for the first video, and 10 minutes for the second? That would be my guess. Fantastic. Did you check if you don’t have the lead there, is there any motion over that time scale? Tomorrow I am going to quantify the period of oscillation without the lead bricks to try and get the spring constant. I know is would be difficult (if not impossible), but could we demonstrate the mutual pull of gravity by also hanging the lead weights on torsion balances?